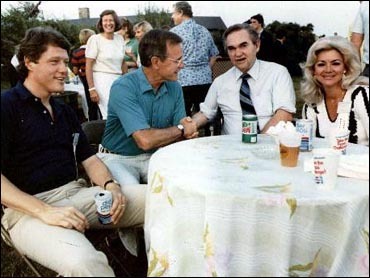 George C. Wallace and his third wife, the former Lisa Taylor, meet with Vice President and former CIA Head George Bush and Arkansas Gov. Bill Clinton at a lobster bake at Bush’s residence at Kennebunkport, Maine, July 30, 1983. The third Mrs. Wallace, whom the governor married in 1981, was 30 years his junior and half of a country-western singing duo, Mona and Lisa, who had performed during his campaign in 1968. This picture is very significant to me. It seems my partner Rev. J. W. Hunt in the Junction Station, Inc. Truckstop venture involving 27 Acres at the Northeast Corner of Highway 231 and Highway 20 was partners with George C. Wallace’s brother Gerald Wallace. Dr. Otis Leon Jordan was one of the 50 doctors on staff when the new Druid City Hospital (DCH) opened in 1952. According to his Tuscaloosa News obituary on 25 September 1986 Dr. Jordan was a physician in Tuscaloosa for more than 35 years. Dr. Jordan was a graduate of both the University of Alabama where he earned his Bachelor of Arts degree and of Louisiana State University where he earned his Bachelor of Medicine and his medical degree. Dr. Jordan left Tuscaloosa in 1970 moving to Fort Myers, Florida where he continued to practice medicine until early 1986. I had two Uncles that were also associated with George C. Wallace. 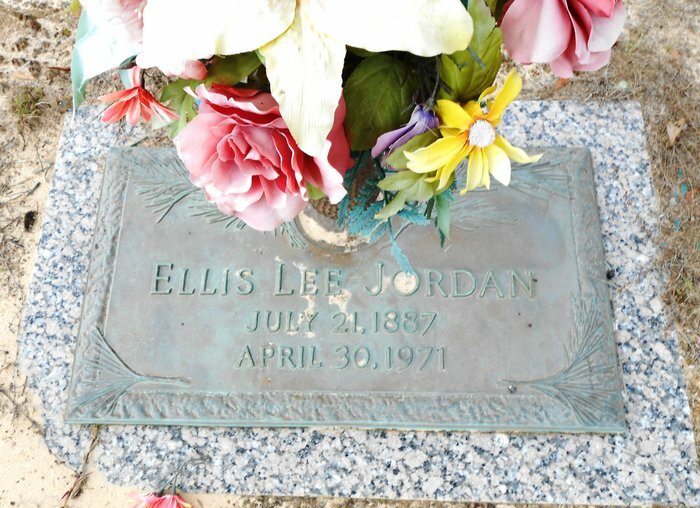 They were Ellis L Jordan and Dr. Otis Leon Jordan. E.L. Jordan owned 30,000+ Acres in the Panhandle of Florida and my dad and I used to hunt there with the guidance of the Property Manager and cousin Ivy Jordan, and his very sweet wife Maggie Jordan. The Property Manager Home and E.L. Jordan private two room quarters was just across the street from the Rocky’s Indian Museum Parcel which had a small service station too at one point. There was also a well preserved Indian Mummy there with many Indian Artifacts. I was approached at Florida Title by Panama City Attorney E. Ward Harris, who was a cordial old gentleman that maintained a cabin in the mountains that he extended invites to all to use as long as they left eggs in the fridge, to help a International Missionary Training Center develop a business plan where they could seek financing to help train missionaries Worldwide by Satellite since this was before the Internet. I attended a meeting and worked with the Group without any expectations of personal gain. The last I heard the Group had been sold. Next thing I knew the Reverend J. W. Hunt from the Jesus Saves Church Conglomerate of International Missions and Churches showed up at Florida Title and said he had heard what I had done for the Missionary Group and God had sent him to repay the favor. Rev. Hunt told me he was going to let me in on a deal to develop a Truck Stop and was going to give me 25% of the deal. I met with the property owners Mr. and Mrs. Buddy Dickerson and with Rev. Hunt and we worked on the project together for some time. We met at Commercial Bank in Panama City, now SunTrust, and Rev Hunt coaxed the Dickersons into signing a Deed that had been prepared transferring the property to Junction Station, Inc. which had been hastily prepared by Attorney Bill Harris with Bert Davenport, Mayo Johnston, Bill Harris and Jerry Gerde Law Firm without any prior discussion or agreement as to the terms or conditions. It seems this Deed was given to secure a mere $3,000 Bridge Loan made by Commercial Bank to the Dickersons. Seemed like coercion and extortion to me. The Dickersons executed the Deed and placed the Deed in Escrow with Florida Title. Florida Title and I saved their property from being stolen. Just prior to that we had a meeting at Peoples First where Rev. J.W. 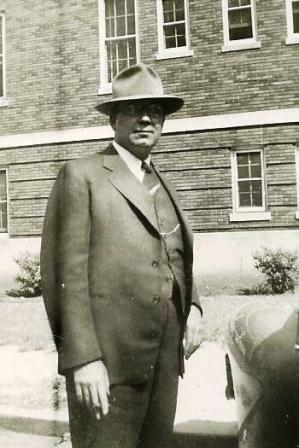 Hunt arranged the meeting with his buddy Joseph Chapman saying he would finance our Truckstop. At the meeting was Allen Bense, Walter Abbott, Hunt, the Dickersons and myself. The results were Chapman was going to send his “inbank” appraiser Abbott Appraisal Associates out to the property and do an appraisal. The appraisal came back at $83,000.00 for the 27 Acres on the NE Corner of Hwy 231 and 20. I knew this was a scam at that point and even though I had put thousands of dollars in for the Title Work, Survey and other development costs I bailed out of the deal. In the next couple of days I received a Stock Purchase Agreement in the mail that had not even been discussed that included some troubling “specific performance clauses’ and other problematic issues. Buddy Dickerson came by with his and asked me what I thought and said he trusted my judgment. I told him if I were you I’d take the Agreement to an Attorney out of town and not tell him any details and have him advise me on the conditions. Buddy came back later and was about to cry stating they were trying to steal his property and asked me what he could do. I told him that he could have his deed back since the Agreements were breached due to fraud. Rev. J.W. Hunt came back just a few hours later stating: “WHERE’S MY DEED?” I told him he had reneged on the Agreements and the deal was off. W.A. McClung, Carl Everett and Jimmy Hatcher, too…..
As hardball Hollywood lawyers go, Terry N. Christensen ranks in the top tier. For 35 years, the former Marine Corps prosecutor has served as billionaire Kirk Kerkorian’s legal muscle in contentious deals involving studios, casinos, airlines and the nation’s biggest automakers. According to court records, Christensen once told Kerkorian’s former wife that his client would “bury” her financially if she continued with a child support lawsuit. On Wednesday, a federal grand jury alleged Christensen had stepped out of bounds, indicting the 65-year-old attorney on wiretapping and conspiracy charges. Christensen allegedly paid Hollywood private investigator Anthony Pellicano at least $100,000 to tap the phones of Lisa Bonder Kerkorian, a former tennis pro who was married to the mogul for only a month in 1999, to gain the upper hand in their dispute. Christensen’s indictment sends a shock wave through the ranks of Hollywood’s most powerful lawyers and executives. It provides the first hint at the extent of taped conversations prosecutors have seized from Pellicano’s files, and liberally quotes from them. Pellicano allegedly told Christensen that his eavesdropping showed that Lisa Kerkorian’s child, whom Kirk Kerkorian did not father, “gets on the phone maybe five or six times a week and just cries into the phone.” In another chat, Christensen allegedly told Pellicano it would be “interesting” to know what Lisa Kerkorian’s reaction was to that day’s court proceedings. Christensen’s indictment represents the first charges brought against a member of the small fraternity of entertainment lawyers who regularly employed Pellicano in bare-knuckle battles representing celebrities and moguls. Last week, Pellicano was indicted, along with six others, on federal charges that he wiretapped and performed illegal background checks on dozens of executives and celebrities, including Sylvester Stallone and comedian Garry Shandling. Bertram Fields, one top attorney who used Pellicano, has publicly acknowledged that he is a subject of the investigation. Fields has denied any wrongdoing. Glaser said Christensen became involved with Pellicano only after death threats were made against Lisa Kerkorian’s child. The case became fodder for tabloids and talk shows when Lisa Kerkorian sought $320,000 a month for her daughter and when such details as the spending of $70,000 for the child’s birthday party were revealed. Another friend and client, Peter Sadowski, executive vice president and general counsel for Fidelity National Financial Inc., said Christensen resigned his seat on the company’s board of directors Wednesday because of the indictment. Christensen is a partner in the Century City firm Christensen, Miller, Fink, Jacobs, Glaser, Weil & Shapiro.